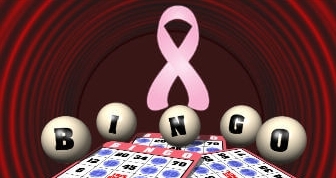 Bingo chat rooms have become more popular over recent years as players look for ways to make their online gameplay more like the real-world experience. There’s a lot of fun to be had in bingo chat rooms, as you can make friends and meet people from all over the country and even across the globe! Bingo might be all about the numbers, but in a chat game, it’s equally about feeling part of the community. However, it’s important to be aware that there are some etiquette rules associated with bingo chat rooms. If everyone is going to have a fun and positive experience, it’s important to abide by them. Here is a quick overview of some of the most common regulations that you’ll find in place in popular bingo chat rooms. Bingo chat rooms are always manned by a Chat Moderator or CM. It’s important always to be polite to them. After all, you wouldn’t usually be rude to people in real life! Of course, that doesn’t mean that you should be rude to the other players either. Unfortunately, trolling is sometimes a problem online, in bingo chat rooms as much as anywhere else. It’s important to ignore anyone who is trying to begin arguments by posting comments which could be potentially inflammatory. The Chat Moderators can handle these people, so don’t give them the satisfaction of knowing they’ve managed to wind you up. Of course, it goes without saying that you shouldn’t troll other people either. Don’t make any kind of comment that could be perceived as offensive. It’s always best to avoid discussing any topics such as politics, race or religion. One of the first mistakes that newbies make when entering a bingo chat room for the first time is to leave their caps lock on when typing. This is just like shouting and can aggravate people who are reading it. Since there isn’t any option to choose italics or bold type if you really want to emphasise a specific word, put a dash on each side of it to make it stand out. If another player has a lucky streak, it’s good practice to say something nice to congratulate them. Even if you’re getting wound up by your losses, it’s important to avoid insulting, harassing or offending anyone in the chat room. Never use any kind of swearing or offensive language and never say anything which could be perceived as discrimination to another player, this could result in you being banned from the chat room. Bingo chat rooms aren’t the place for flirting or trying to arrange a date! 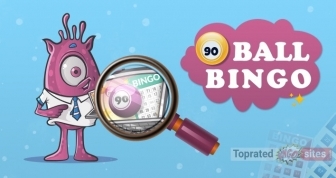 Some players make the mistake of making comments of a sexual nature when playing online and this is certainly not permitted on any bingo chat site. Bad language isn’t tolerated in any bingo chat room, so be careful about the chat alias that you choose. Make sure it doesn’t contain any vulgarity or offensive language. Not only is it bad taste but you risk ending up with a ban. The chat room host, or moderator, is similar to a bingo host in a real-world bingo hall. However, unlike a bricks and mortar host, they aren’t actually running the game or calling the numbers, so don’t expect to hear any bingo calls from them. Instead, they’re there primarily to assist the players and to moderate the conversation, making sure that none of the rules is broken and that everyone is having a great time. It is the Chat Moderator that you should turn to if there’s an issue during your conversation. If you accidentally break the chat room rules, for example by leaving the caps lock on while typing, often an apology to other players will suffice to resolve the problem. However, if you seriously breach the regulations by personally insulting another player or by disrespecting the Chat Moderator, you can expect steps to be taken against you. CMs have the right to ban you from the chat rooms and revoke your chatting privileges on the site. In fact, in the worst-case scenarios, they can even prevent you from playing bingo on the site at all. What Do I Do If Someone Else Breaks the Rules? If you’re offended or upset by something that has been said to you or to another player in your bingo chat room, don’t try to handle it yourself. If you insult another player, even after being provoked, you are just as much at risk of a chat restriction or ban as they are. It’s always best to voice your concerns to the CM who can then use their authority to deal with the problem appropriately. If you’re very concerned about the nature of the regulation breach, you can contact the bingo operator’s customer support team who will be able to take action on your behalf. 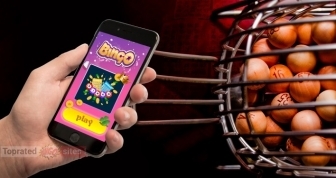 There’s no doubt that bingo chat rooms are a lot of fun and are a brilliant way to make contact with other likeminded players all over the world. They’re the perfect way to enjoy the real-world bingo hall experience in the comfort of your own home. As long as you abide by the rules, you’re sure to have a great time, and you could even make friends for life among the bingo playing community. Who knows – you might meet a celebrity or learn some top tips from the most successful players!